Minnesota Streetcar Museum's Winona Power & Light car number 10 pauses for passengers at Excelsior. 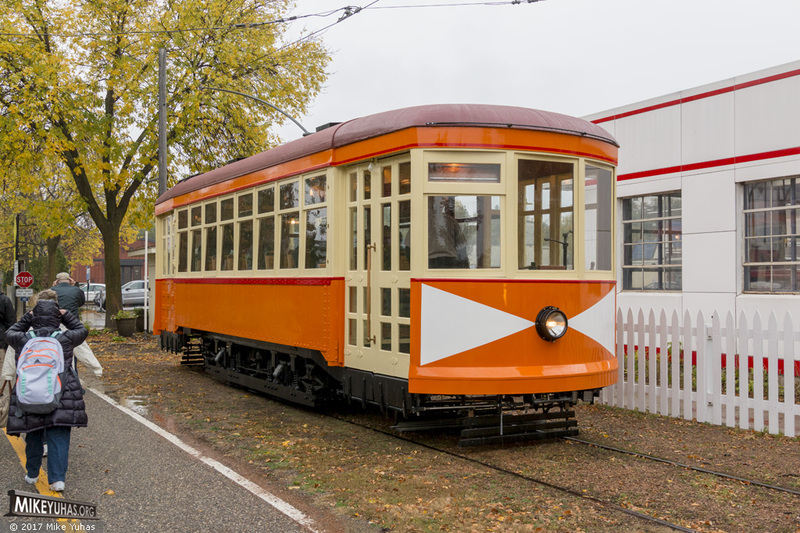 Car was built by the St. Louis Car Company, delivered to Winona in April, 1914, and operated until the end of streetcar service in 1939. The museum acquired it in 1999 (it had been in use as a cottage until then) and it underwent a lengthy (and meticulous) restoration.